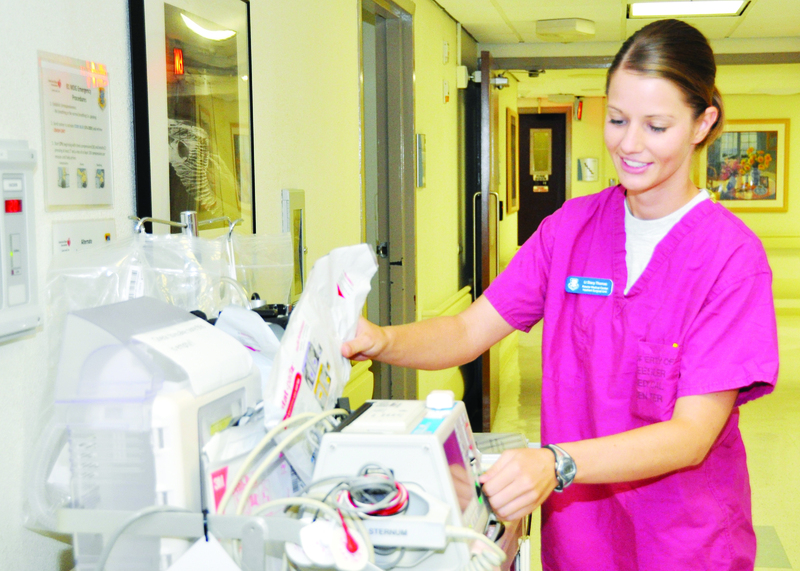 Second Lt. Stacy Thomas, a nurse at Keesler Air Force Base, Miss., helped thwart a purse-snatching May 26. Air Force photo. A Keelser Air Force Base, Miss., nurse and a friend noticed a ruckus in the parking lot of a nearby university after registering for classes May 24 — an elderly woman walloping a man near a car. Second Lt. Stacy Thomas, a surgical impatient unit clinical nurse, quickly surmised the woman was the victim of an alleged purse-snatcher, according to a June 6 Air Force story posted to www.keesler.af.mil. The pocketbook thief had used a siren on his car to stop the woman on Highway 67, the story reported. When the woman pulled into a parking lot of William Carey University in Hattiesburg, the man got out and told her she had a wobbly tire. She got out to look. He reached into her car and grabbed her purse. Then the woman chased the man back to his car, where she began hitting him. That’s when Thomas and her friend showed up. According to the Air Force story, the nurse and her comrade got the woman’s purse back, took photos of the accused assailant and his license plate and made sure he stayed put until police arrived. The man also got slapped with a strong-armed robbery charge. Thomas and her friend got a $500 book scholarship from the university dean for their good deed.